The National Conference (NC) on Wednesday said it will not participate in the upcoming municipal, local body and panchayat elections unless the government of India and the state authorities take steps to protect Article 35A in and outside the Supreme Court. A bunch of petitions have challenged Article 35A that bars outsiders from settling in Jammu and Kashmir. The article empowers the state assembly to define permanent residents of the state and confer them with special rights for buying land, seeking jobs and scholarship, and taking part in the election in the state. 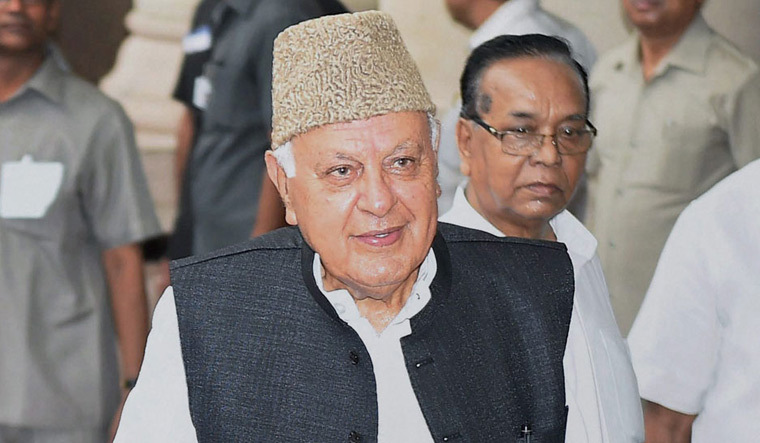 The decision to boycott the grassroot elections was announced by NC president Farooq Abdullah at a press conference in Srinagar after a meeting of the party's core group. NC MLA from Budgam Aga Syed Ruhullah Mehdi also announced the party's decision to boycott the upcoming polls in a tweet: "The National Conference will not participate in the Panchayat and ULB elections unless and until the GOI clears its position with regard to Art 35-A. And takes effective steps to safeguard it inside and outside the Courts." The decision to boycott the polls by a major political party has come amid the threat by militant outfit Hizbul Mujahideen that it will not spare those who will contest the elections. The operational commander of the outfit, Reyaz Naikoo, warned that those who are planning to contest the panchayat polls should keep their shrouds ready. He also claimed that his group has stocked acid to punish those planning to stand in elections. The four-phase municipal elections will be held from October 1-5 . The panchayat elections will be held in eight phases, from November 8 and December 4. Additional Solicitor General Tushar Mehta, representing the state government, told the Supreme Court on August 31 that any debate on Article 35A at this juncture would have an impact on the law and order situation in the valley where elections to over 4,500 posts of sarpanch and to 1,145 wards are scheduled. He said if these elections do not take place, then Rs 4,335 crore financial grant would lapse.